Sarah Richards was the keynote of the third and last day of the conference. Who takes care of how a page looks? Who takes care of how a page behaves? Who takes care of how a page is found? Who takes care of navigation? Who makes sure the site goes on time? Users don’t care which government department does what. People call about a problem but often there have been an array of other ‘root’ problems that led there and that the user is not aware of. People don’t need much content unless they’re very keen on the subject. Part of content strategy is knowing what you don’t need to do (eg, if information is already available elsewhere). People don’t read much. We don’t need users to read everything. We need them to understand. Many government website users only have phones (not desktops) because it’s cheaper. Would you invest in UX for a handful of users? You need to understand your users, and to understand the information you’re presenting. If you’re dealing with complex data, you need to be a bit of a data analyst. how do datasets relate to each other? how does it relate to the real world? When thinking your Information Architecture, create an overview first, then ‘zoom and filer’ (detail on demand). If the content is too complicated to explain to users, it simply won’t work. Whilst numbers (raw data) provide a great insight, visualisation techniques help identify patterns in the data. A combination of the two is ideal. Talk by Francis Rowland, Dr Nikiforos Karamanis, and Dr Jenny Cham. Paula de Matos and Boguslawa Kaplan did a workshop focusing on the importance of making sure we are interpreting and communication clearly to both stakeholders and users. 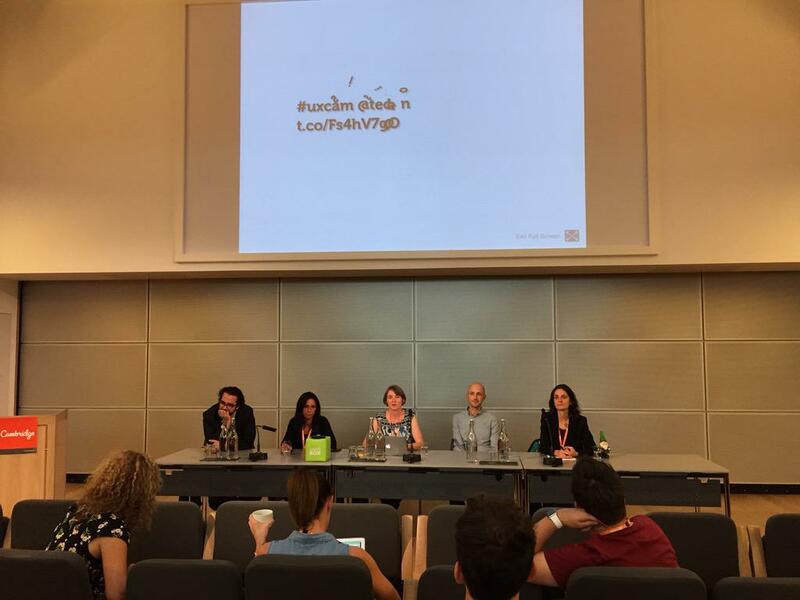 To end another fantastic conference, there was a discussion panel led by @alisan_atvur, @albertatrebla, @micheleidesmith, @BenHolliday, and @miss_embe (accompanied by @WilfWanders). As UXers we’re starting to push out beyond the digital boundaries, but we need to take more risks. Having specialism is good but we should be careful not to work in silos. UX leadership: as UXers we’re starting to push out beyond the digital boundaries. In order to do that we need to take more risks.